Congressman Leonard Lance, who serves New Jersey’s 7th District, paid a visit to White Conveyors' Kenilworth manufacturing facility recently to recognize White’s 70th year of business. 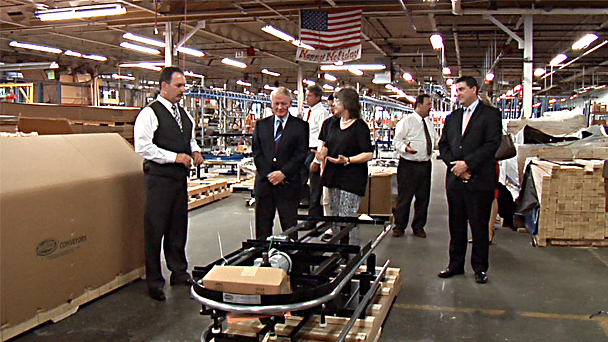 Lance saw first hand that manufacturing is alive and well in New Jersey, as he took a tour of the bustling 90,000 square foot facility led by company president Mary Speckhart, along with her brothers Stephen and John Speckhart. Lance, who is Vice Chair of the Commerce, Manufacturing and Trade Subcommittee, listened to the concerns and challenges facing the Speckharts, whose family business employs over 100.